Measuring and understanding the mechanical response is critical for material research, product development, and process control. The mechanical response of these materials is dependent on the application scenarios as well as material chemistry. The main parameters that are considered to measure these mechanical properties are load (P), loading rate or strain rate (Ṗ/ἐ), time of loading (t). 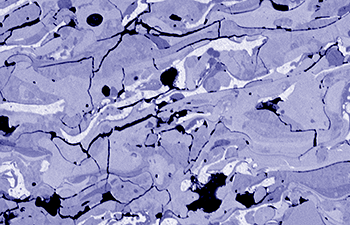 Nanoindentation is conducted on a variety of materials from bio-gels to superalloys to measure hardness and elastic modulus of the material with continuous stiffness measurements (CSM) in addition to complex modulus measurements (storage modulus, loss modulus, loss factor) for polymers, removing substrate effect in thin film properties, 3D property maps for heterogeneous surfaces and 4D property maps for depth-dependent properties of materials. Nanoindentation is capable of conducting dynamic and static microhardness and nanoindentation measurements including nanometric Vickers hardness. Two mechanical properties, elastic modulus, and hardness can be determined by nanoindentation. Unlike elastic modulus which is an intrinsic property of materials, hardness shows size dependence in materials with near surface hardness being different from the bulk hardness. The continuous stiffness measurement is an excellent technique providing depth dependence measurements to study the size effect of hardness in various materials. The size dependence of hardness can be understood by comparing two alloys made up of same material but different grain sizes. The finer grains lead to higher hardness in most materials because of the compactness of the packing. When sample size or function requires a small volume, a dynamic nanoindentation test analogous to DMA is used to determine E’ and E”. Nanoindentation can be used to characterize a larger frequency range than DMA. Less heat can be applied to do the smaller sample size. 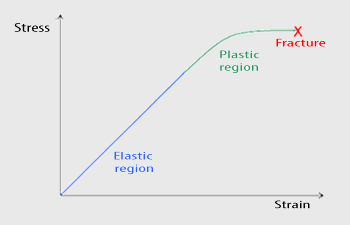 Fracture toughness is the property of a material’s resistance to brittle fracture. Because the occurrence of flaws is impossible to avoid during processing of a material or component, fracture toughness is an important materials property. 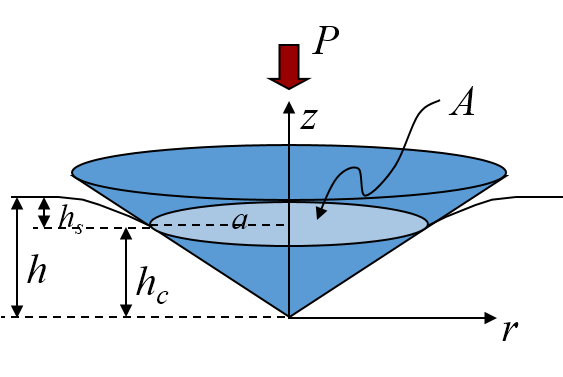 Materials with high fracture toughness will tend to undergo ductile fracture. Materials with low fracture toughness normally have a brittle fracture.